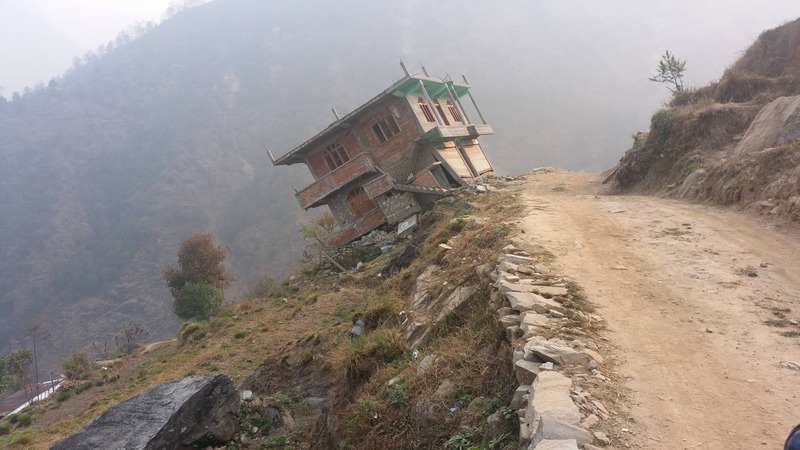 Read about our CEO’s recent visit to Nepal where he saw first hand the devastation caused by the earthquake in April 2015 but also the hope that Mondo’s projects are bringing to the survivors. The journey from Kathmandu over the foothills to the Helambu valley offers splendid vistas of the Langtang range. But on this, our first visit since the earthquake, it was not the views that attracted our attention but the swathes of decimated houses that bordered the road. The damage done back in April 2015 was not consistent. In one village, nearly all dwellings were damaged to the point of being inhabitable. And just a mile further on, a second village seemed completely untouched. Dropping down into Helambu along the appallingly pitted and potholed mountain track, the jeep bucked like a Rodeo horse. Passengers grip hard on the seats in front, with gritted teeth much in evidence. Meeting an upcoming bus, determined to force a passage, was a challenge. With a 500ft drop to the left and a road barely more than a car’s breadth across, such encounters were perilous. Down in the Helambu valley, there were many signs of temporary dwellings. Made of plywood and corrugated iron sheets, these dotted the valley, each providing a refuge for an extended family. 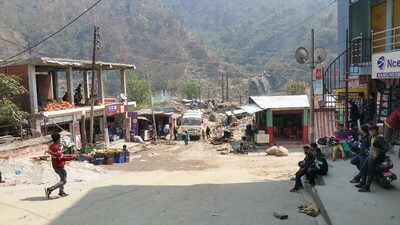 As we approached Melamchipul, we again encountered the desolation of broken buildings, more like a war zone than the usually tranquil valley. Whole streets were decimated, houses in ruins, stones left piled in disarray. And yet, 50 yards away, a four story office building apparently intact.